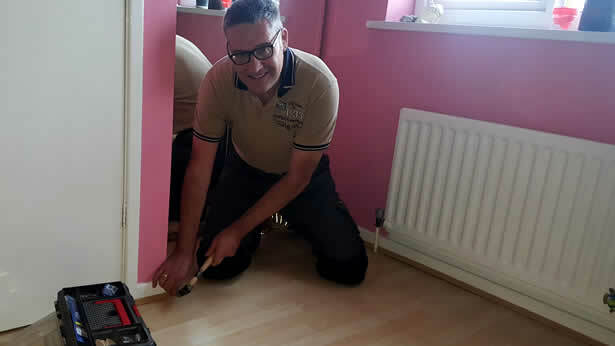 Over 15 years experience installing floors in and around Washington, Chester-le-Street and North Durham. NJRflooring will only book one job a day and have many delighted customers. 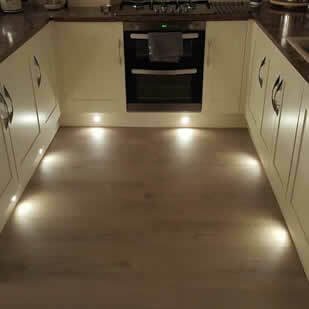 NJRflooring do offer a laminate floor FITTING ONLY service. 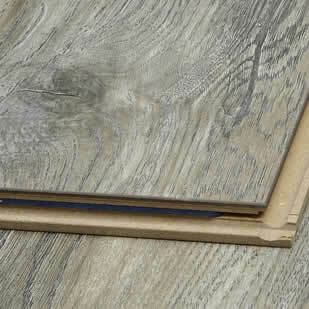 Also install Luxury Vinyl Tiles (LVT) and engineered board. NJRflooring based in Rickleton about 1 kilometre from the Direct Wood Flooring depot in Birtley. 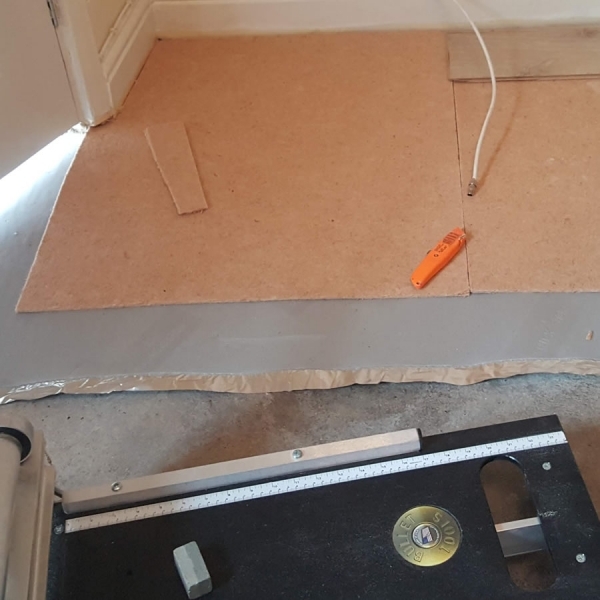 NJRflooring are happy to bring a range of sample floorings and underlay when measuring your home. 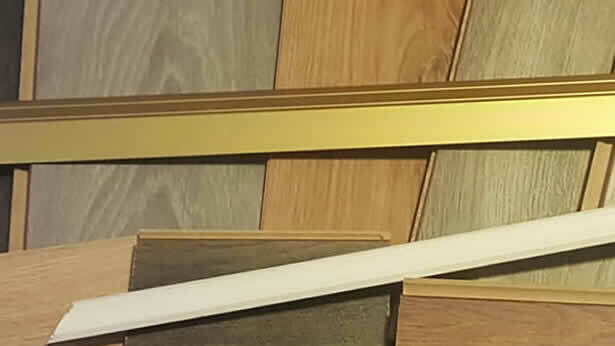 We supply materials at supplier's retail prices, which equals free delivery . Rely on my experience to guide you towards appropriate flooring for each zone of your home. 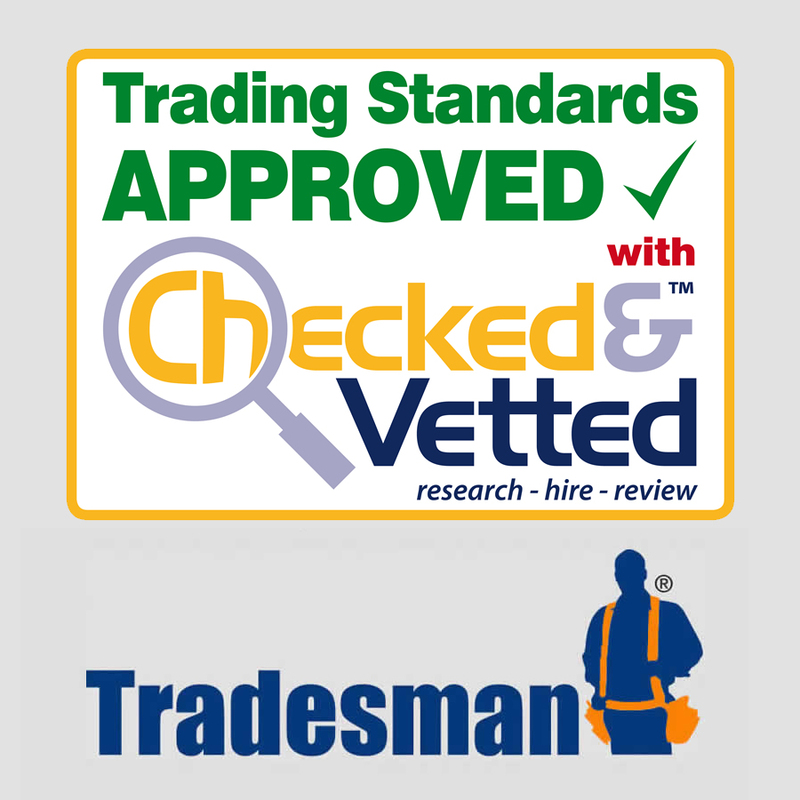 NJRflooring is not VAT registered and most floors fitted are for houses. On-line credit card payments accepted. 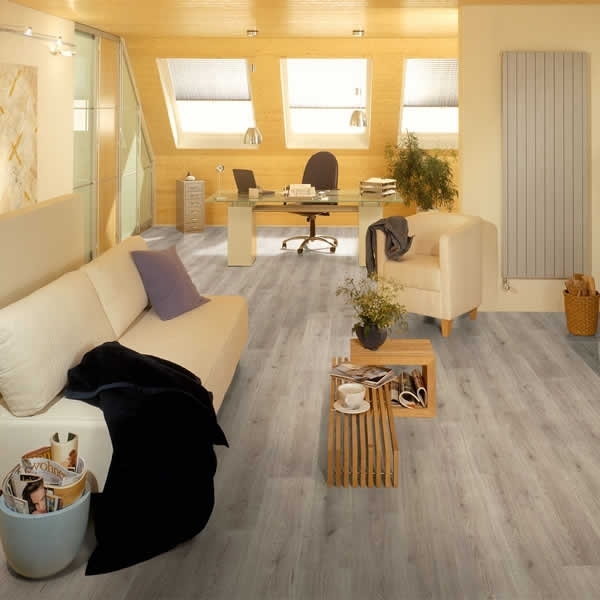 When fitting laminate flooring it the actions at the start and end of the install that add the complete style to a project. 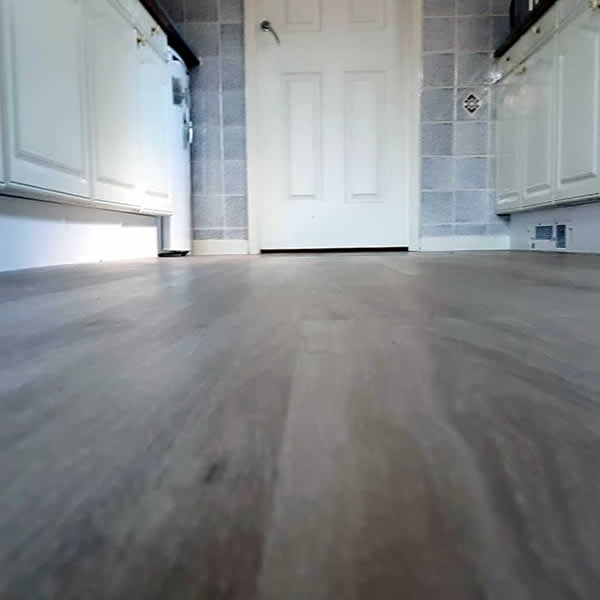 NJRflooring always start by installing the floor at the most complex area, typically a door frame where the laminate boards needs to lock together. 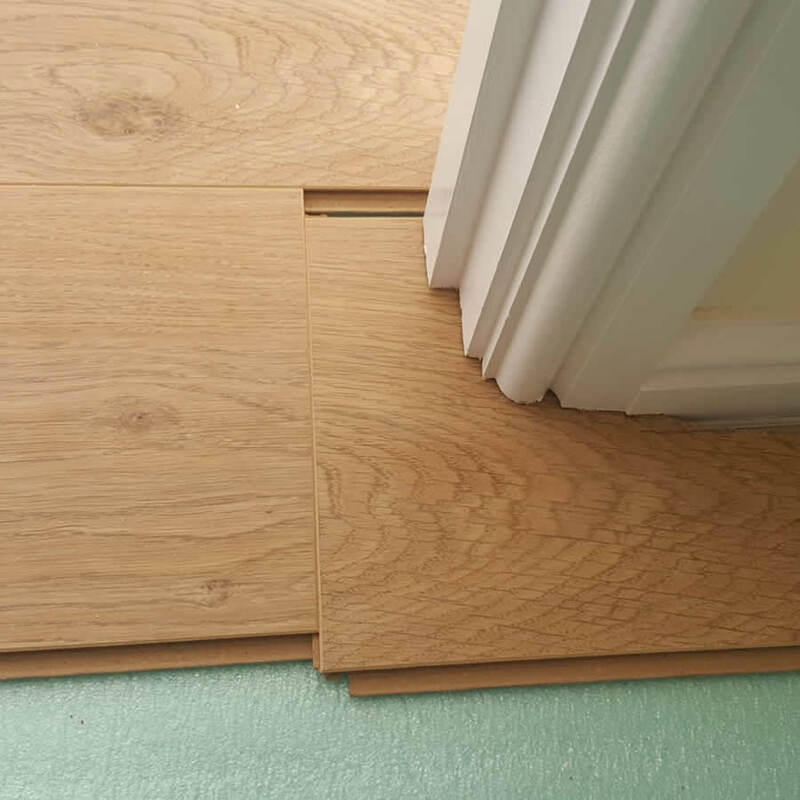 At the end of the project the beading will be mitred and pinned to the skirting boards, with tiny wedges around the door frame. Finally self-adhesive door bars are measured and cut to size. 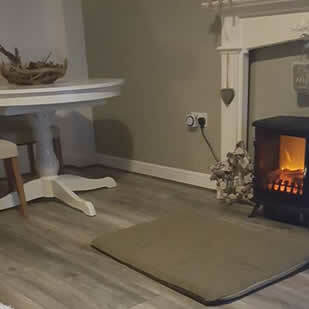 NJRflooring is based in Washington, Tyne and Wear and install laminate flooring in South Tyneside, County Durham and Washington / Sunderland. Most of installs are within a 15 mile radius of Washington which includes Sunderland, Chester-le-Street, Birtley, Newton Hall, Durham, Houghton-le-Spring, Sacriston, Langley Park etc. 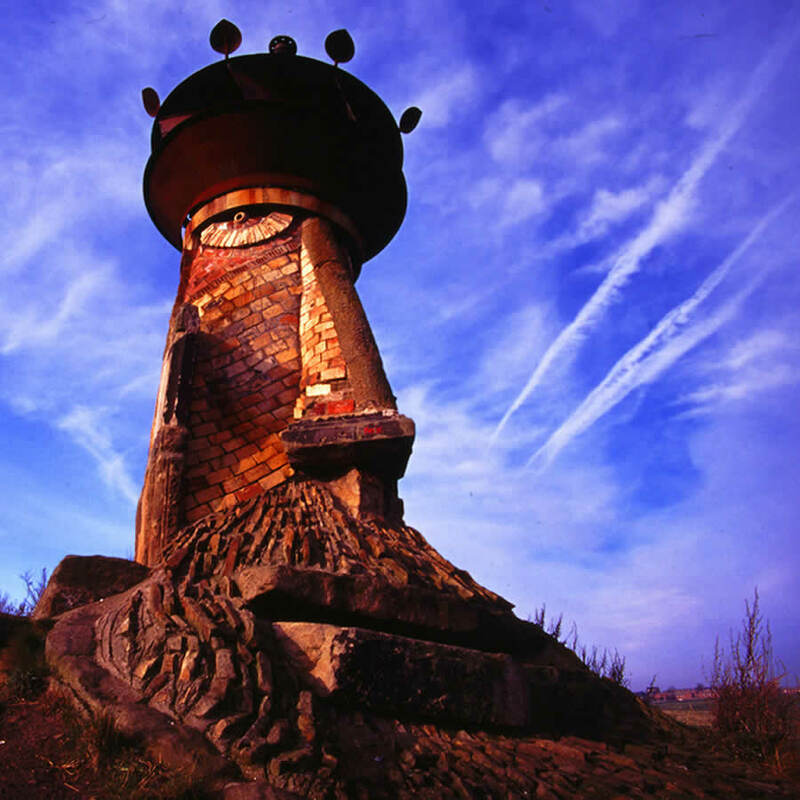 and South Tyneside. 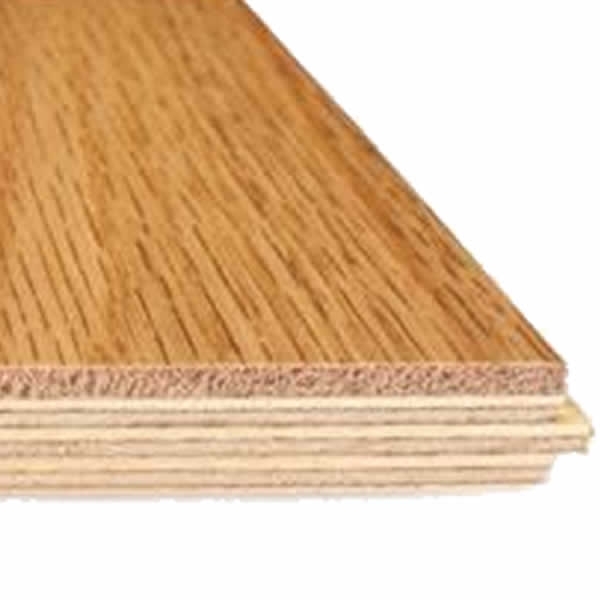 Once installed laminate flooring is perfect for dust control because unlike carpet all the dust, pet hairs etc. 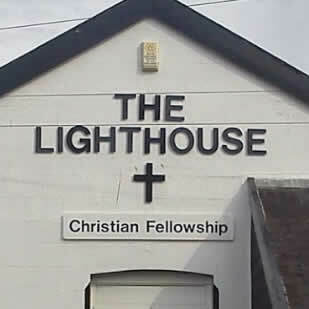 remain above the floor and visible. Remember no carpet mites either so a much healthier home for people with asthma. NJRflooring will always cut the laminate flooring outside to reduce the dust in your home. Just bought a Sharpshooter laminate, engineered board and LVT cutter which makes very clean dust free cuts so can be used indoors. 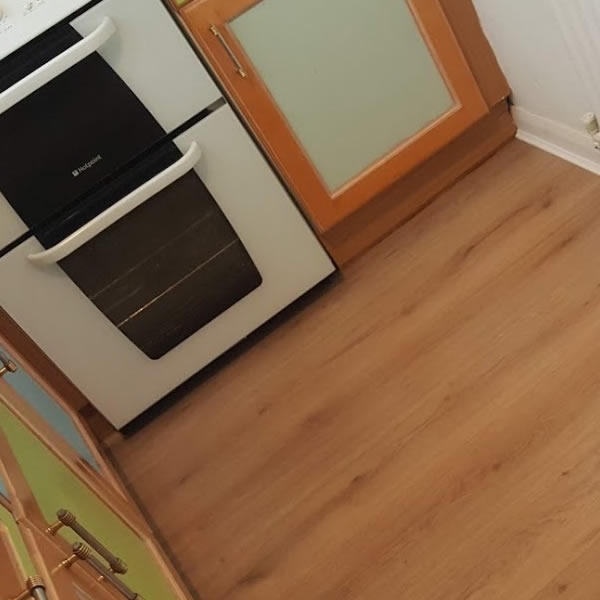 Sliding laminate flooring, with fold in locking systems into place. 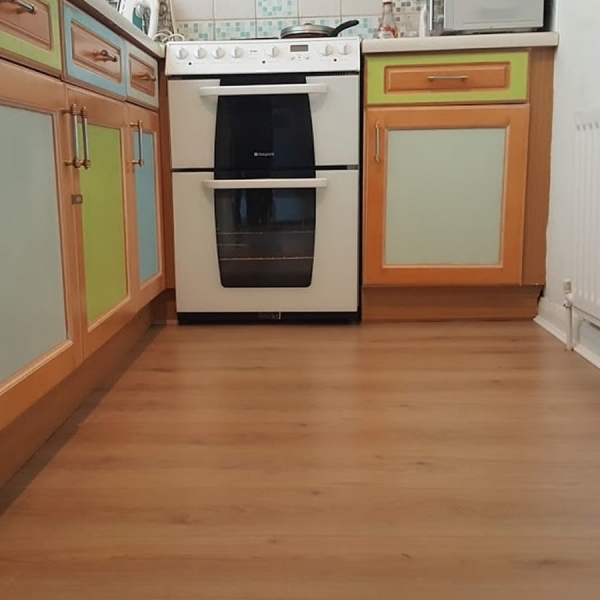 Nigel of 'NJR Flooring' was professional, efficient, trustworthy and a pleasant person to have around the house. 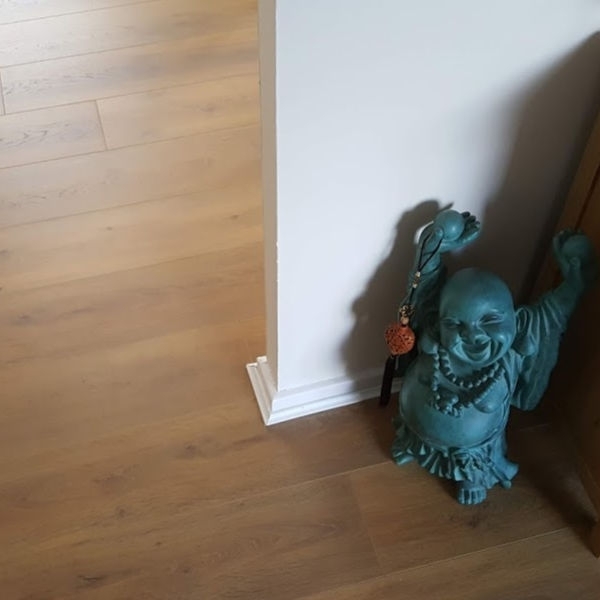 His workmanship was excellent and we are extremely satisfied with the fitting and his expertise in recommending the type of flooring to suit our requirements. We would be more than happy to recommend 'NJR'. Flooring was laid in accordance with the estimate. Very pleased with the result. 12mm laminate floor laid in hallway and living room. I supplied the all the materials myself. 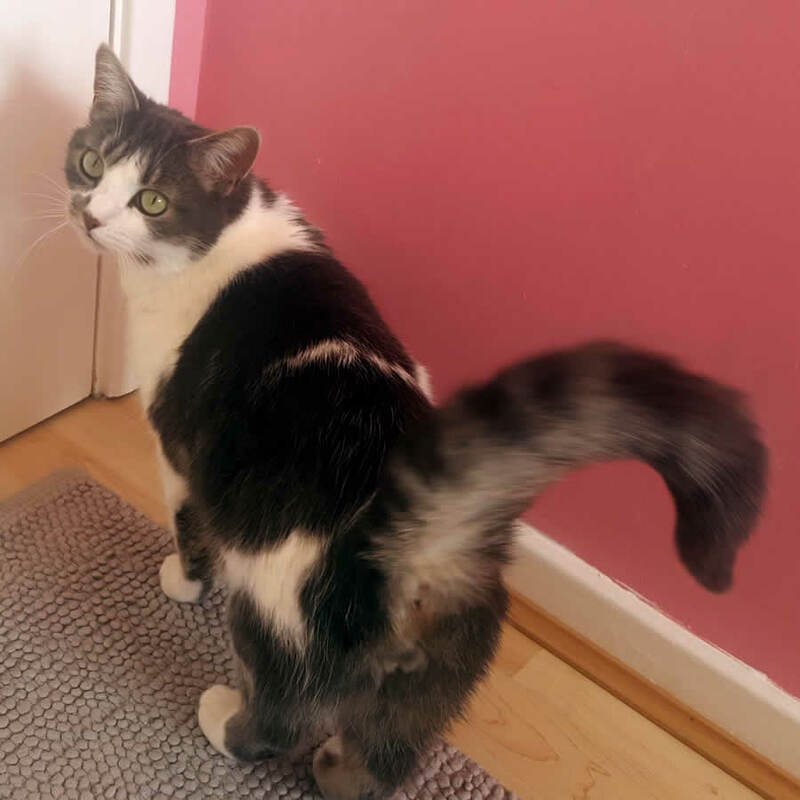 When I first met Nigel, he surveyed the floor and recommended a laminate which I chose (Villa range). I've had it for a few weeks now and it appears to be of good quality, given the price. I'm very happy with the final effect. 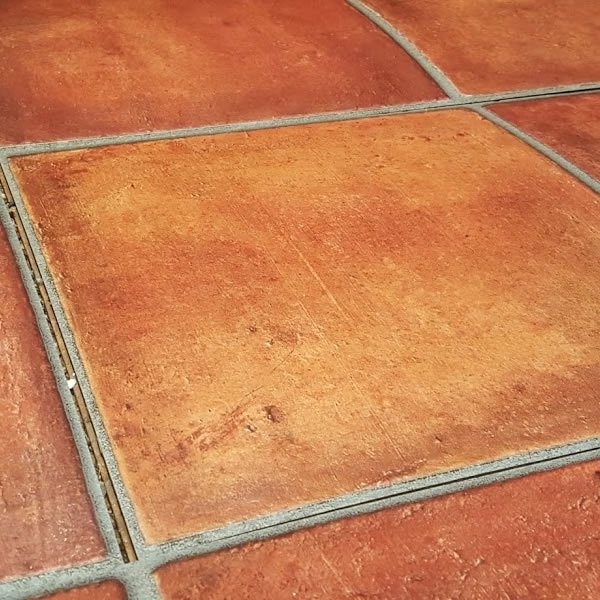 The floor looks fabulous. Nigel did a very good job, he was very precise and thorough. He planned the floor very effectively and there was hardly any waste in the end. 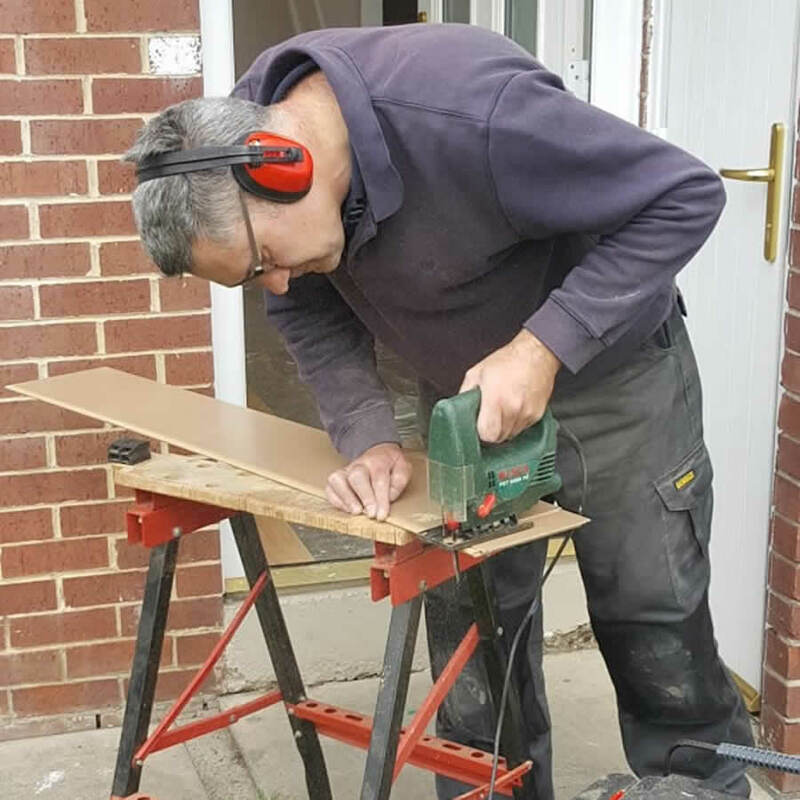 Nigel also brought his new laminate cutting machine which made his work very easy. But most importantly, the machine almost completely eliminated the dust and shavings produced when an electric saw is used. Not all the wood could be cut in the machine though; all the wood that had to be cut by hand was cut outside, so there wasn't much dust in the house at the end of the day. I would recommend NJR flooring to anyone who is looking for a reasonably priced good quality floor.